Bajang Amad by Colonel Muhammad Khan is a humorous Urdu book that showcases the best of Urdu literature. If you’re looking to enjoy an Urdu book that has wit, laughs and depth, this is the right book for you! Sharing my Bajang Amad review along with a video for a quick recap. The narrative of Bajang Amad starts from January 1940 when Colonel Muhammad Khan joins the British army living in the subcontinent. He expresses the feelings and emotions of a cadet under training brilliantly and one is reminded often of the humour from Shoaib Mansoor’s “Alpha Bravo Charlie” and “Sunehry Din”. As the author become a lieutenant, his duties and the Second World War take him to many parts of the world including the northern territories of the subcontinent and the middle east. I loved reading his observations and perspective as he narrated them in his hilarious manner. He also sheds light on the grim side of war in between the witty parts to send across a serious message in a light manner. There is much to learn about the last days of the British Raj over the Indian subcontinent through this book as we read about the struggles of the locals under the British. Colonel Muhammad Khan touches the topics of language, culture and independence in a very human way. As I read this book it was interesting to observe how things and technology had changed over the years but for some issues such as trouble in Waziristan and Western interference in the middle east, it seemed like nothing had changed. I heard the book on audible as an audio book but also enjoyed going through the physical copy. Some words are definitely difficult for the average Urdu speaker but there are foot notes at the bottom and you can always refer to a lughat (dictionary). I highly recommend this Urdu book and hope you enjoyed my Bajang Amad Review. 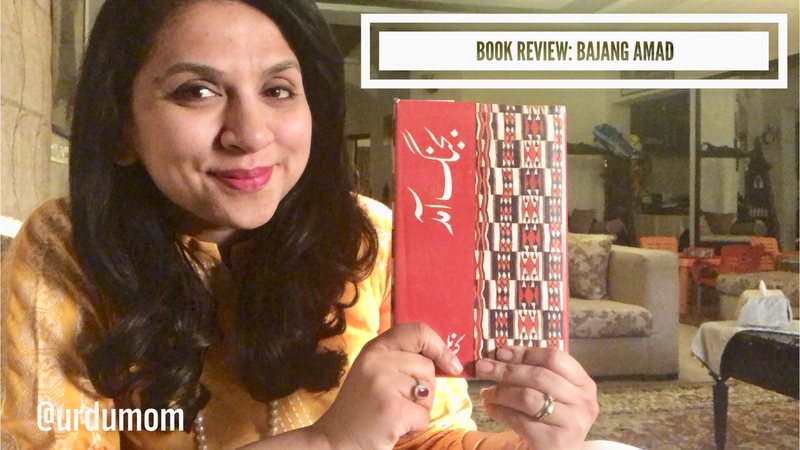 I plan to do more Urdu book reviews as a lot of you have requested it! Let’s promote and encourage the love of Urdu Literature! Sounds interesting! I wouldn’t be able to read it but an audio book would be perfect!